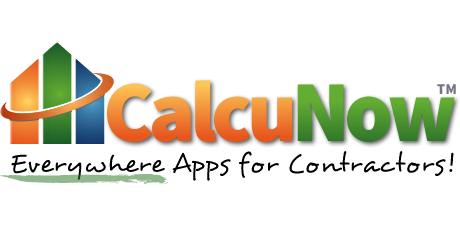 CalcuNow Monthly Subscription with Free Trial Free for 3 day trial, then $10 a month. One low monthly fee for individual access to all CalcuNow apps. First 3 days free! Cancel any time. CalcuNow Standard Annual Subscription $108 for 1 year of access Save 10% with an annual subscription plan! $108 for the whole year. Sub Users (Pack of 5) $47.50 per month (for 5 users) Want to give access to your employees? Purchase a pack of 5 accounts and save 5%. Sub Users (Pack of 10) $90 per month (for 10 users) Give employees access to CalcuNow! Purchase 10 user accounts and save 10%. Sub Users (Pack of 20) $160 per month (for 20 users) Save 20% when you purchase 20 monthly user accounts for your employees! To subscribe to CalcuNow, you must agree to our Terms of Service.